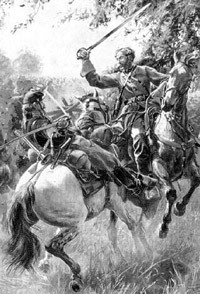 While distant Southwest Florida was spared the carnage of battles like Fredericksburg or Chickamauga, it saw its own type of combat during the Civil War. Florida beef and leather were vital to both armies and the Confederacy organized special units of cowboy-soldiers, the Cow Cavalry, to round up strays and protect local cattle herds from Union raiding parties based in nearby Fort Myers. Civil War buffs will enjoy learning more about these little known skirmishes on the Florida home front and can watch the boys in Blue and Gray reenact an actual fight that took place near here in February 1865, in the closing days of the war. The day-long encampment and battle is held each March on the grounds of the Immokalee Pioneer Museum at Roberts Ranch, in Immokalee.